In their second major California court case, Apple and Samsung on Tuesday presented closing arguments before a jury of eight will decide how much of the companies' respective $2.2 billion and $6.2 million damages claims will be meted out, if at all. A herd of reporters converged on the U.S. District Court for the Northern District of California in San Jose today as the two tech giants closed their cases in what could be a multi-billion dollar verdict for Apple. Attorneys for the Cupertino, Calif.-based company were up first, with Harold McElhinny harkening back to 2007 when the original iPhone was first introduced by Apple cofounder Steve Jobs, reports CNET. 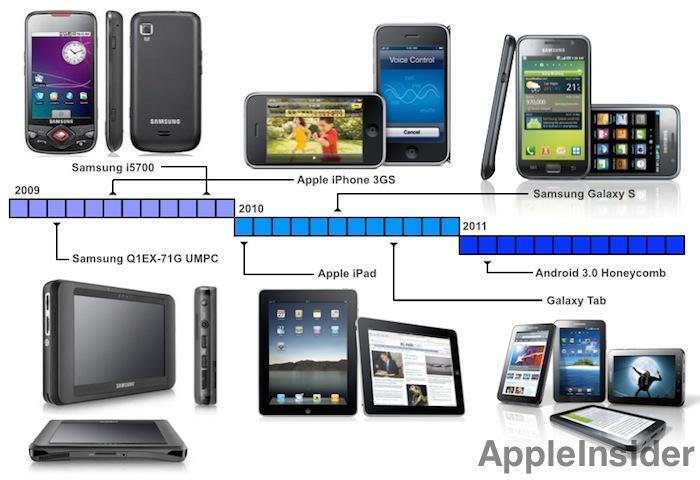 He told a story of innovation that culminated in the iPhone and iPad, as well as the five patents-in-suit the company alleges Samsung copied with multiple infringing products. "These products were created by true geniuses like Steve Jobs and the Apple inventors who testified here," McElhinny said. "They were, and are, real people who through genius and hard work have made real contributions to the way people...share information with each other." The lawyer went on to rehash Apple's claims of 37 million infringing Samsung devices and damages in excess of $2.19 billion. He also took time to point out that Google and its Android operating system are not on trial, referring to an apparent Samsung tactic that used the Internet monolith as a shield against Apple's offense. McElhinny tried to nullify Samsung's defense case that asserted Apple's patents should be ruled invalid because they were obvious, reports Re/code. Before breaking for lunch, the Apple attorney made sure to note high ranking company executives like SVP of Worldwide Marketing Phil Schiller testified in the trial, unlike Samsung's top brass from Korea. Jurors heard statements on damages, including the nearly $2.2 billion Apple is asking in lost profits and royalties. Although Samsung feels the number should be closer to $38 million, McElhinny said any award is a win. "Bringing this lawsuit was Apple's last choice, it's last option," McElhinny told the jury. "Apple cannot simply walk away from its inventions. We are counting on you for justice." The statement echoes the closing remarks of Apple attorney Bill Lee, who was able to get in the final word before jurors headed off for deliberations. As for Samsung, lead counsel John Quinn gave a breathless closing after his colleagues Bill Price and David Nelson left little of the allotted two hours on the clock, reports The Wall Street Journal. "We don't think we owe Apple a nickel," Quinn said. "They'll be dancing in the streets of Cupertino if you give them $100 million." Further, Quinn went after Apple's damages expert John Hauser, calling his conjoint survey to determine patented feature value a "sham." 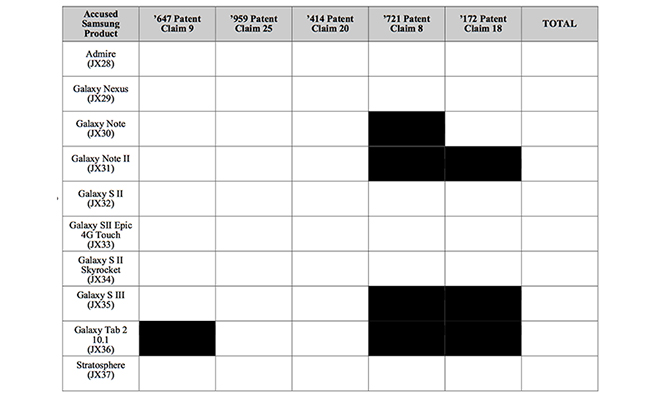 Samsung's Price called Apple's argument a "made-up case" as the company does not implement features covered by asserted patent claims in its iOS device lineup. On the topic of Google, Price said Android was brought up only to point out that the accused infringed patents are part of that operating system's core experience. "We're not pointing the finger at Google," Price said. 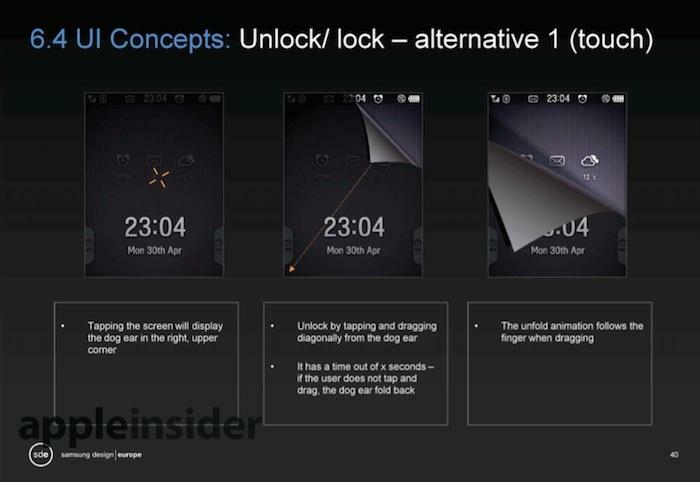 "We're saying they independently developed these features, and they don't infringe." Following Tuesday's closing arguments, jurors entered deliberations and will continue the process every weekday until a verdict is reached.